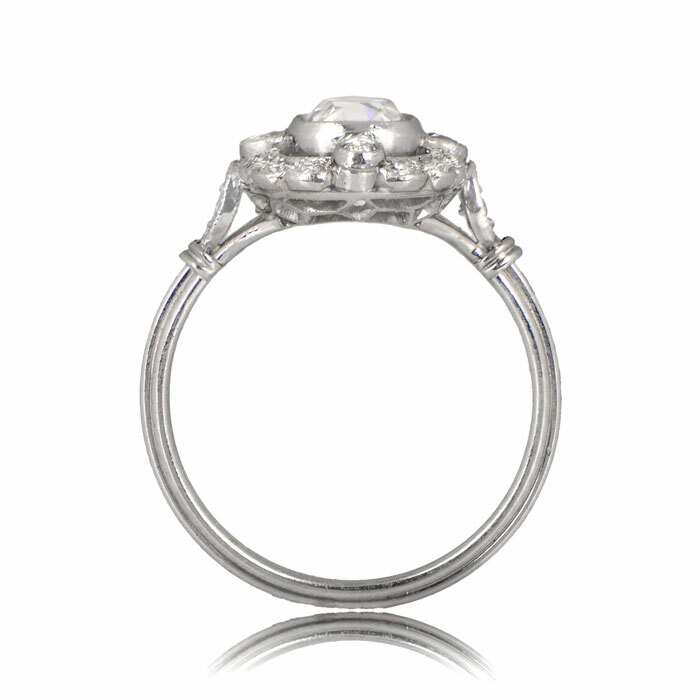 A beautiful Old Mine Floral Motif Engagement Ring, adorned with a halo of diamonds and triple wire band. 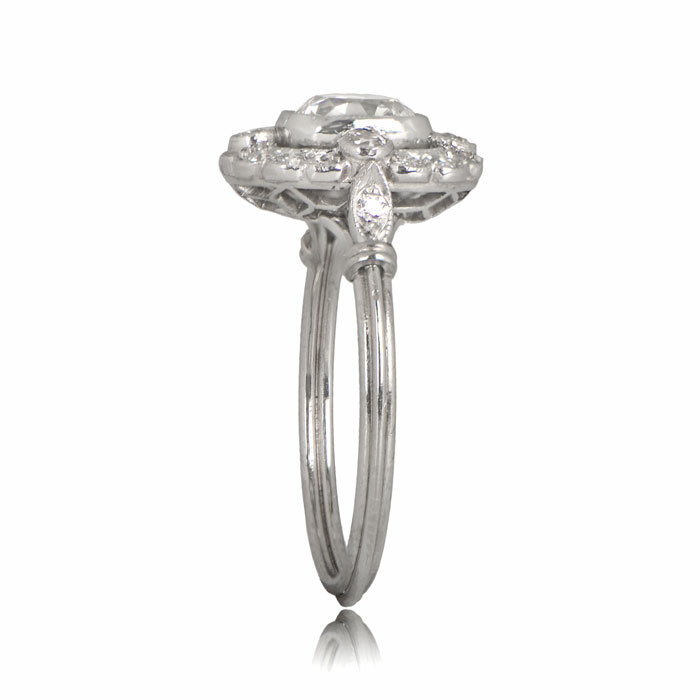 Beautiful filigree and milgrain add to the delicacy of this stunning ring. 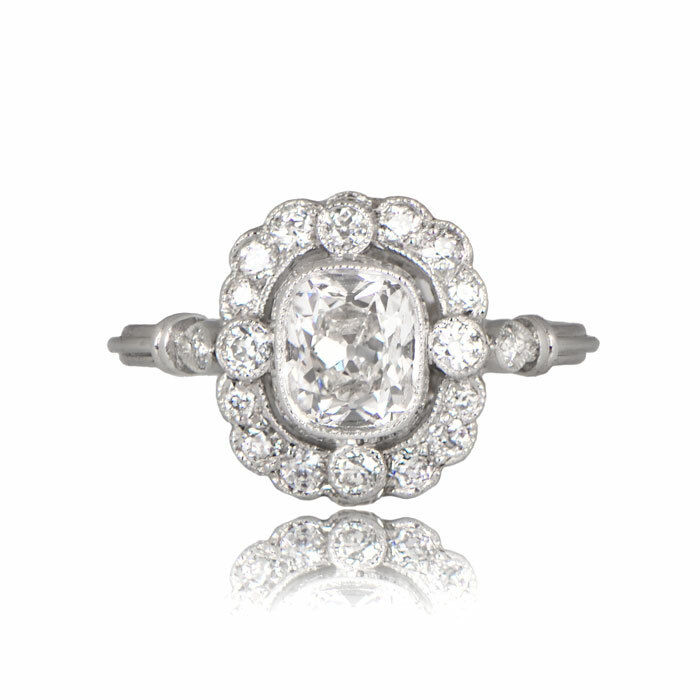 The center old mine cushion cut diamond is circa 1920 and is certified by the GIA as 1.02ct, G color and VVS1 clarity. 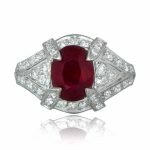 The GIA certification is available upon request. 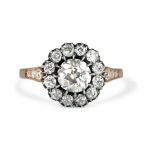 SKU: 11645 Categories: Cushion Cut Engagement Rings, Old Mine Engagement Rings, Vintage Engagement Rings - Contact us and request additional pictures.